A fast, easy way to start any Clarry Pellet Stove. Just arrange 3-4 sticks "tepee style" in the ash drawer and light. They will produce a 5 inch high flame that will reach the pellets immediately. 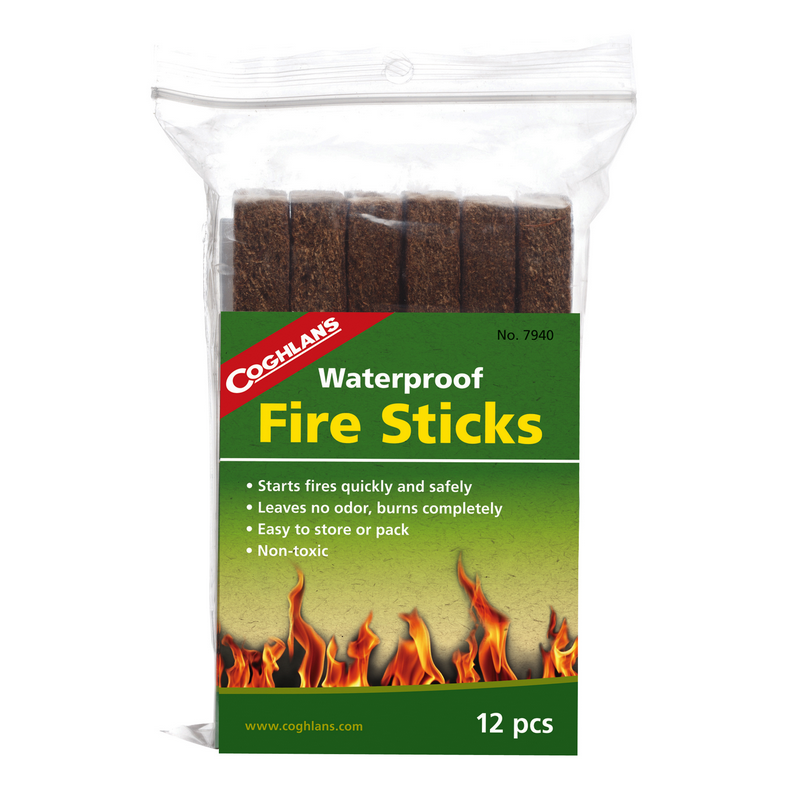 The Coghlan's fire sticks are non-toxic, produce no odor, and burn completely. They will burn even after getting wet, and will hold over year to year.